This month our featured Liverpool Wedding couple is Beth & Will, who were married a couple of years ago at Bridge Chapel in Garston followed by a reception at the Merseyside Maritime Museum. 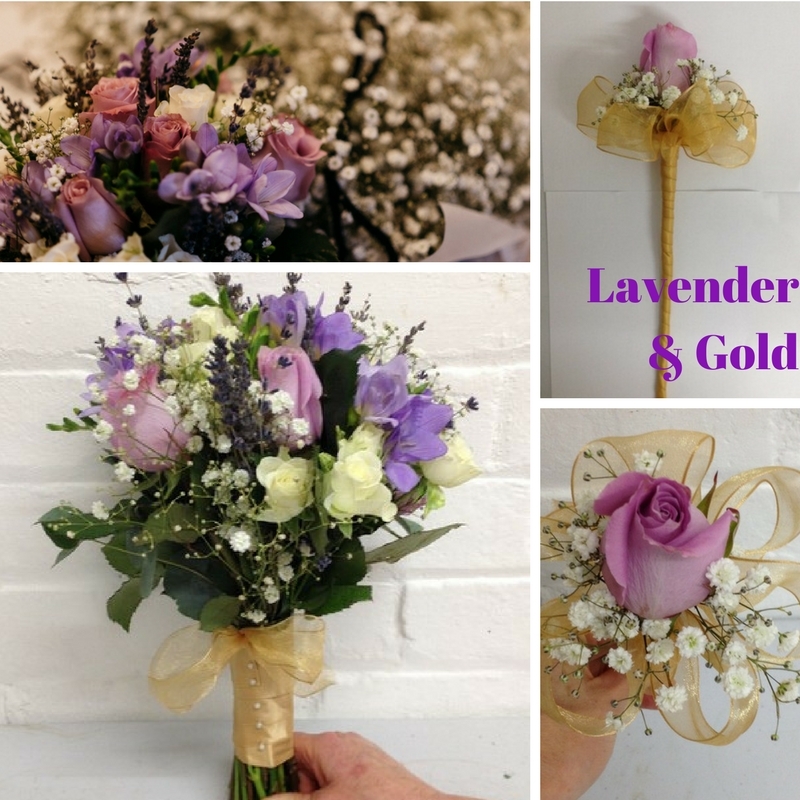 The couple didn't have a Wedding theme, but as Will was in the Navy they wanted colours to compliment his uniform and opted for Lavender and Gold with simple hand-tied bouquets of Gypsophila for the Bridesmaids and a small wand for the Flower Girl. 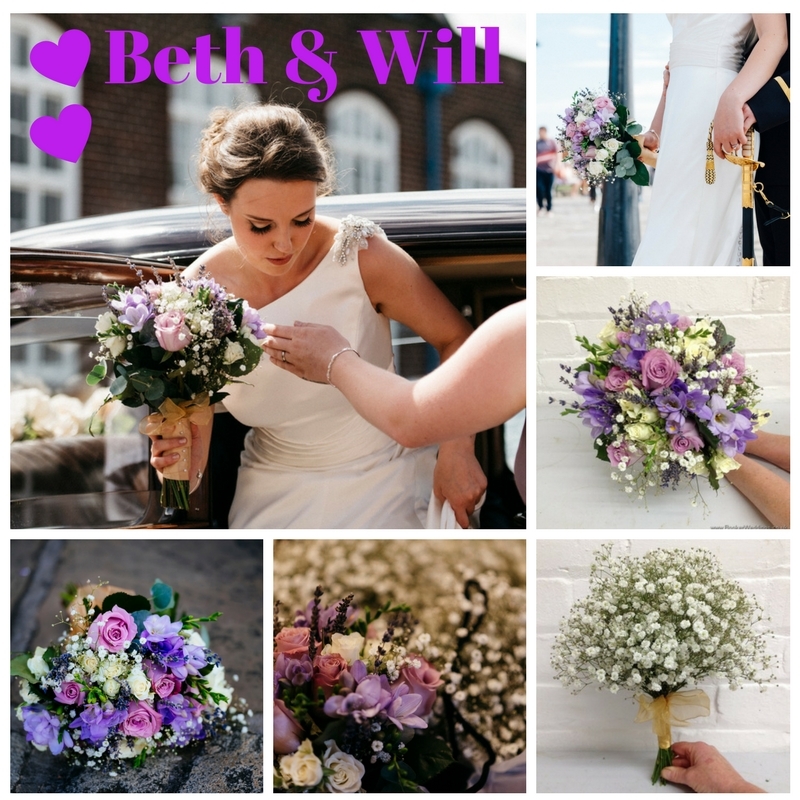 Beth wanted a classic hand-tied bouquet in their chosen colours but was unsure about the type of flowers to include, so we helped her decide on lavender roses, white spray roses, lilac freesia, gypsophila and lavender. As Will loved the smell of lavender we also incorporated it into the buttonholes as well as the Bride's bouquet. Brides Up North Wedding Blog featured Beth & Will's special day (thanks for the mention!) It sounded unforgettable with lots of personal touches including a handmade wedding cake and specially written music for them to walk down the aisle. To see more photos of Beth & Will's gorgeous flowers, check out their Wedding Flowersgallery. 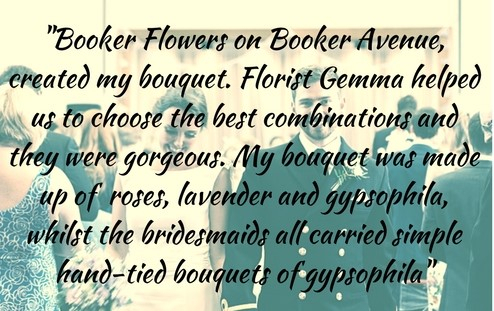 All the pictures on our website are from real Weddings, so if you want some further inspiration or would like to read our Bride's testimonials (like Beth's below) then check out our Liverpool Wedding Florists website.